Memories are the most precious gift that can be given, so why not surprise the music lovers in your life with the gift of live and local orchestral music. The Albany Symphony has something for everyone on your list- fun and engaging family concerts as well as adventurous performances featuring timeless classics, brilliant soloists, and thrilling world premieres. Purchase single tickets online or at the box office for any orchestra performance at the Palace Theatre or Sunday matinee and save 25% on single tickets. Offer not valid for Star Wars & More. Expires Monday, November 26, 2018. 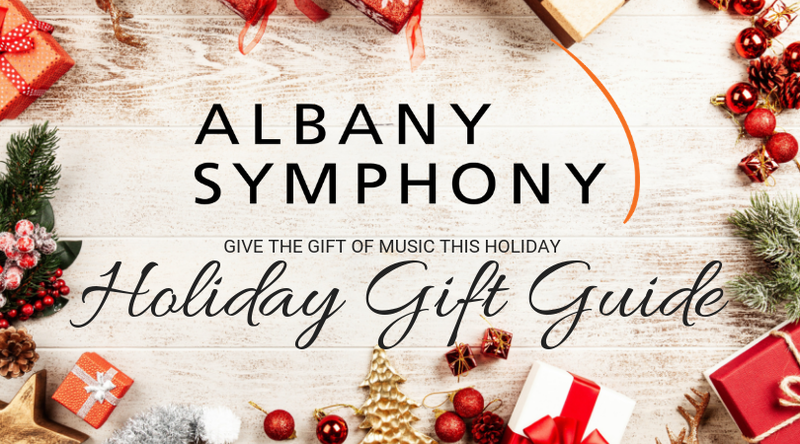 Purchase a $100 Albany Symphony Gift Certificate online, by phone, or at the box office until December 21 and get a $20 bonus certificate FREE! Offer available through Friday, December 21,2018. Bonus Certificate expires June 2019. Get orchestra-level seats to any subscription concert from January to June, 2019. Benefits include FREE ticket exchanges, 30% discount on tickets to Star Wars & More, no-fee ticketing, and pre-sale access to the 2019.20 season. ORDER YOUR HOLIDAY FLEX PASS TODAY! CALL 518.694.3300. OFFER EXPIRES 12/21. I AM I AM I AM | Raise Your Voice! YousaidShesaidHesaid: From the "girl of the mill"
VOTE FOR THE ALBANY SYMPHONY! Help the Albany Symphony win $10,000 in FREE advertising with the Times Union. Vote today and everyday through Monday, December 3. Vote once per day, per device. Your VOTE will help the Albany Symphony change lives through music! Newer PostDid you get a chance to meet Santa Claus?